Unleash a little anarchy! Tired of playing the hero? 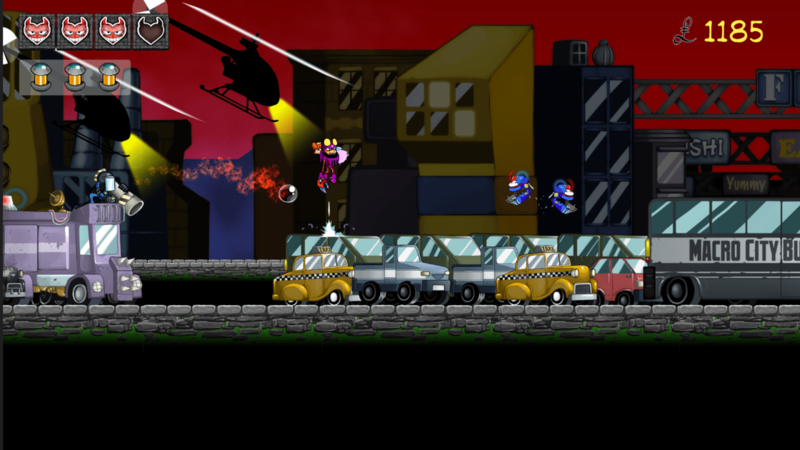 Experience the adventure from the other side of the coin with Nefarious! Play as the villain for a change and wreak chaos as you kidnap princesses from five different kingdoms who alter game play in unique ways. Stomp on heroes through several iconic battles recreated with you as the boss! Reverse boss fights let you fight the hero. Globe hop between five different kingdoms and even more distinct locations. Mix and match customization options for 10+ variations on your explosive punches. Mystery and Intrigue, that if uncovered, unlocks a secret ending! Engage in a comedic story exploring and deconstructing the video game trope of princess kidnapping. I have a lot of questions, but this is definitely something that’s being added to my wishlist. I like how this is going for a comedic feel with the overall game. That point about deconstructing the tropes has me curious. Is it going to be funny, lame or preachy? Will the gameplay hold up to my expectations and hopes? The backgrounds look a lil busy so I worry about not seeing enemy projectiles. I dunno, but Nefarious is coming out next week, and I am excited.